Terms such as "Third World", "developing countries" and "Global South" are ubiquitous in the discipline of development studies, but they are often poorly defined, ideologically weighted and misleading. 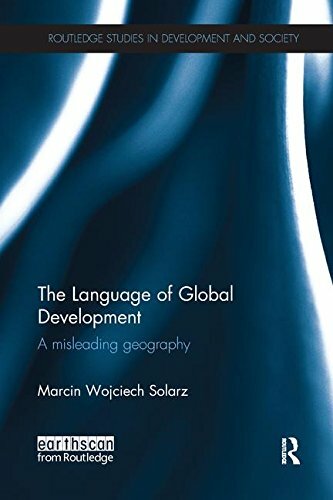 Taking an intellectual history approach, this book examines the most commonly used spatial terms in the language of development, tracing their origins, meanings, evolution and processes of popularisation and demonstrating how geographical, political and economic concepts were used or misused in creating these terms. The book looks at the origins and the changing nature of fundamental development divisions from prehistoric times to the present day and analyses the process of conceptualising the contemporary North-South divide, focusing especially on the start of spatial development terminology in the twentieth century. It uses detailed maps to assist the reader in visualising the geographical complexities of these spatial terms, and discusses more recently developed terms, such as "emerging markets" and "BRIC", which are key to understanding the modern world. This book provides a valuable resource for students and researchers in development studies, international relations, geography, sociology and anthropology, as well as practitioners in the field of development.